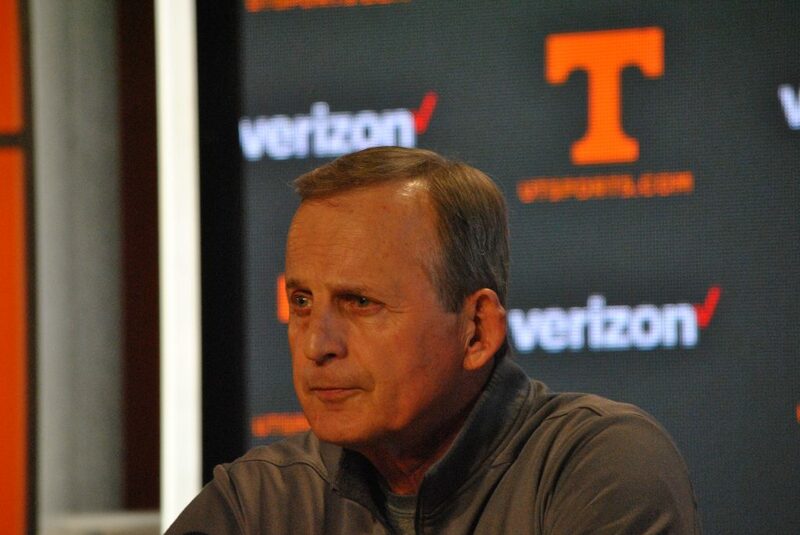 Tennessee men’s basketball head coach Rick Barnes has never been accused of mincing words. He’s known for his honesty and candor in press conferences, and that was never more evident than on Tuesday. Barnes met with the media to discuss what happened a week ago when he was courted by UCLA to be their next head coach. Ultimately, Barnes decided to stay at Tennessee and is expected to receive a hefty raise as part of a new deal (though those details haven’t been fully disclosed yet). But how did that all come about? Well, Barnes himself provided some very candid responses to questions by reporters when he met with the media on Tuesday. Barnes said that when he was first called by UCLA he was “totally surprised” they contacted him. He first heard from them that Tuesday, and then Barnes’ financial advisor contacted Tennessee Athletics Director Phillip Fulmer on Friday. Why did Barnes listen to UCLA’s offer? Because of what the Bruins meant to him growing up. Barnes explained that he essentially idolized UCLA growing up. He attended camps specifically because UCLA coaches were at them, he formed a relationship later on with legendary UCLA head coach John Wooden, and his college team even ran some of UCLA’s offense when he played. Because of that, Barnes seriously considered becoming UCLA’s next head coach. 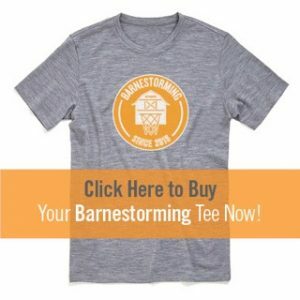 Click the image above and use the coupon code OW15 to get 15% off your Barnestorming tee while supplies last! According to Barnes, the main reason he didn’t go to coach the Bruins was because UCLA couldn’t work out a way to cover his buyout at Tennessee. In the contract extension Barnes signed last offseason, his salary was raised to $3.25 annually, and it put his buyout after this season at $5 million. Barnes said hat before UCLA came back with their final offer, he prayed about it, asked for clarity, and when UCLA gave him their final offer and said they couldn’t work out the buyout fully, he realized that Tennessee is where he should stay. But if UCLA had been able to pay his buyout? “I think I would’ve been the coach at UCLA,” Barnes stated. “I’ve said that to people before. I really felt that at that time, that’s what was going to happen. In my mind, I know what I prayed, and I asked God for total clarity. When they came back with their decision, I knew that I’m not supposed to be the coach at UCLA. Barnes explained that it wasn’t an easy decision. It took him days to come to that conclusion, and “a lot of praying went into it.” Ultimately, though, it didn’t make sense for him financially to accept the UCLA job — a job that was viewed somewhat as a dream job for him — and he elected to remain with the Vols. The whole process was a difficult one for Barnes and his family. Barnes claims he didn’t leave his house for two days and lost five pounds through the whole ordeal. But after prayer and deliberation, he felt it was the right move to stay in Knoxville. “I said from the beginning that it was an intriguing job because of the way I have, in my mind, watched UCLA,” Barnes said. “I’ve got pictures of myself in John Wooden’s house. I’ve got pictures of me in restaurants with him. I got to know Coach Wooden in the latter part of his life. I got to meet his daughter at dinner with him. Those situations, they get tough because they probably felt they went as far as they could go, and I felt I went as far as I could go. Though Barnes has yet to sign his new contract with Tennessee, he feels Knoxville is where he is supposed to stay. And he said through the whole process, he tried to treat everyone at Tennessee the right way and did everything with the utmost respect.